DCC supports this effort to manage wildlife consistent with legislative direction and wound wildlife management policies. We’ll have more information on any hearings scheduled or other talking points throughout the comment period. EA comments: Comments can be made through the National Park Planning website at https://parkplanning.nps.gov/projectHome.cfm?projectID=49062. 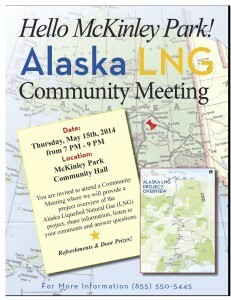 An LNG Pipline Through Your Backyard? Is the new LNG pipeline going to go right through your backyard? Or is it going to disrupt travel on the highway while construction is done? Or will it traverse your favorite winter trail? 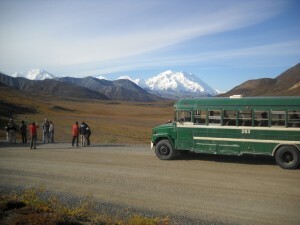 Will it go through Denali National Park? Where in fact, will it go? How will it affect wildlife? Are there plans for studies to ensure the caribou migrations won’t be disrupted? How big will the pipeline and project be? Will it encourage gas development and fracking in the Denali Borough? In my backyard? Will the Borough get cheap LNG, or is all this gas destined for the overseas market? What happens if there is a leak in the pipeline? These are all questions that we don’t have complete answers to. Fortunately, we just learned about an informational meeting to which the community is invited to attend. 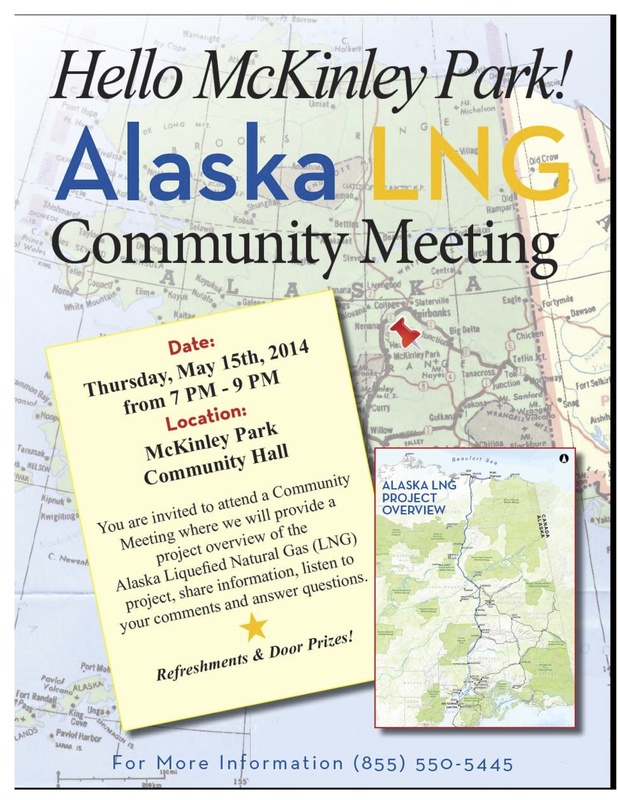 Thursday, May 15 from 7-9PM, the Alaska Liquified Natural Gas Project will be sharing information, listening to your comments and answering questions you might have at the McKinley Park Community Hall. Though it is last minute, we will try to be there. How about you? To download a PDF of the flier, click on the following link: flyerMKLVILLAGE. Come one, come all! 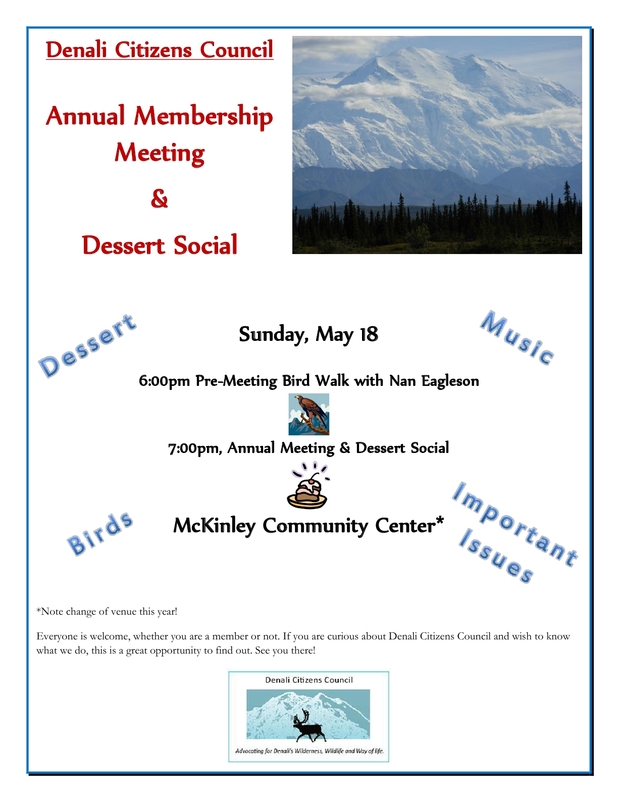 The DCC Annual Membership Meeting and Dessert Social will be happening at the McKinley Community Center on Sunday May 18, 2014. Start off going for a bird walk with board member Nan Eagleson at 6PM if you choose. The social will get started at 7PM to dive into dessert and then dive in and discuss what issues DCC is currently invested in. See you there! Click here to view a PDF of the DCC Annual Meeting Poster. Please share with friends. All are welcome. Hearings will be held on Denali-specific wildlife management regulations at the Murie Science and Learning Center, this coming Thursday, March 13th, from 6:30 until 8:00 PM. These temporary regulations will prohibit certain hunting practices in Denali’s Preserve lands, areas in the north and southwest regions of the park where hunting is allowed. Recently the state of Alaska, which sets hunting regulations for Preserves, has instituted practices that violate NPS policies. These practices are meant to target predators, and include spotlighting black bear sows and cubs in their den for purposes of killing them, taking brown bears at bait stations, and extending the wolf hunting seasons. For details regarding these state-sponsored practices and the federal regulations being proposed to prevent them, see the NPS Press Release at the following link – AKRO_Wildlife_restrictions_press release_final (1). It is extremely important that as many members of the public as possible testify in support of NPS on these regulations, to demonstrate that Alaska citizens support NPS policies of managing for diverse wildlife populations. Please read the press release and supporting materials at the link above, then attend the hearing at the Murie Science and Learning Center this Thursday! 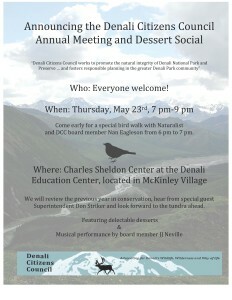 Denali Citizens Council (DCC) will be hosting its annual meeting and dessert social, Thursday, May 23rd. We are fortunate yet again to use the lovely Charles Sheldon Center at the campus of the Denali Education Center as our venue. Join us early for a special bird walk with naturalist and board member Nan Eagleson from 6 pm-7 pm. The main event will kick off at 7 pm and last until around 9 pm. 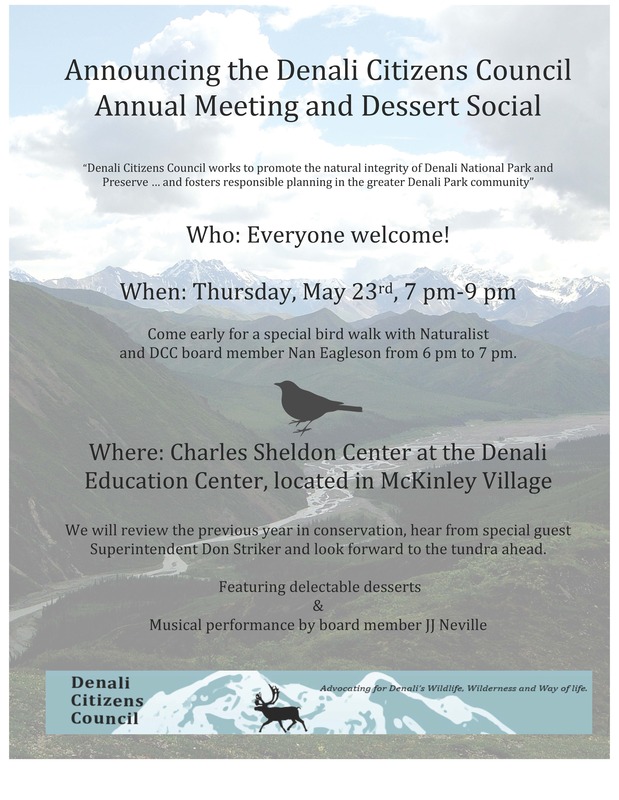 We will recap the important issues DCC has tracked this past year while looking forward to the issues ahead as well as host a special guest speaker, new superintendent of Denali National Park and Preserve, Don Striker. There will be a musical performance by board member JJ Neville and an array of delectable desserts to entice your palate. The board members of DCC look forward to seeing and visiting with you. Bring a friend; everyone is welcome to this gathering and celebration. *Members be sure to vote for open board member seats, either online at DCC’s homepage or bring the previously mailed out ballots with you to the festivities. Great Northwest, Inc., — the contractor for a Parks Highway rehabilitation project for miles 252-263 — has proposed withdrawing up to 150,000 gallons of water per day from Panguingue Creek, Little Panguingue Creek, and a stream further north this summer. The water would be used for dust control, compaction, and seeding, with the water for seeding potentially continuing into the early summer of 2014. Links to the application and maps are below. Comments are due by April 30. 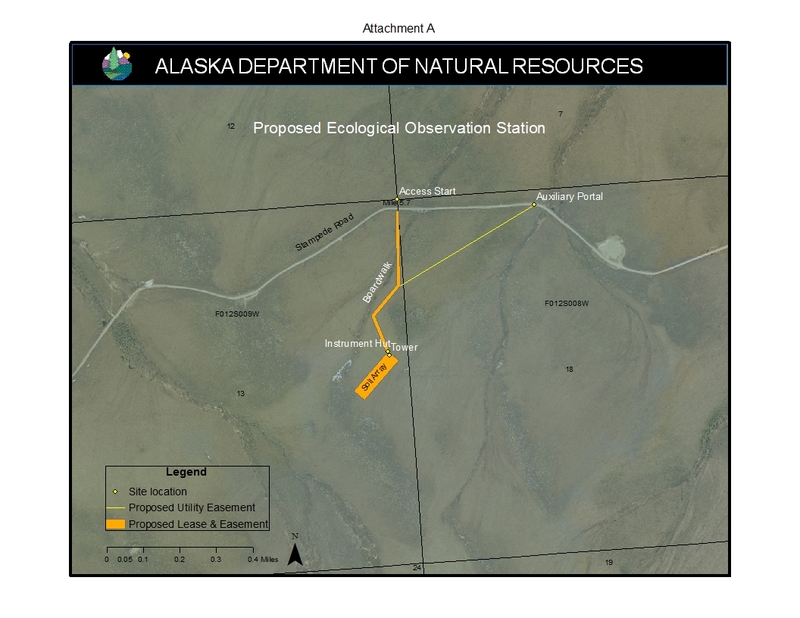 Representatives for the National Ecological Observatory Network (NEON) will be at the Panguingue Fire Hall on Tuesday, February 5, from 6:30-8:00pm to discuss their application to Alaska Department of Natural Resources for an easement and a land lease off of the Stampede Road west of the Panguingue Creek Subdivision. NEON will use the easement and lease to develop a temporary ecological monitoring station. Linked below are the meeting announcement and public notice on the lease and easement. Be sure to keep up with the Friends of Stampede which is following this project closely. The field is crowded with candidates seeking to replace Denali Borough Mayor David Talerico, who resigned in December to become Chief of Staff for Alaska legislator Doug Isaacson. Seeking the seat are Clay Walker, Steve Jones, Tallon Shreeve, Rusty Lasell, Robert Kohlsdorf, and William Nemec. Walker, Lasell, and Kohlsdorf are all members of the Borough Assembly, with Walker acting as the interim Mayor. Nemec is a former Assembly member. Jones sits on the Planning Commission. There will be a candidate forum on Wednesday, January 30 at 7:30pm at the Tri-Valley Community Library. Comment on the Yukon Tanana Area Plan revision this week! We urge our members to submit comments on the Yukon Tanana Area Plan, an important planning effort for state lands at the boundaries of Denali National Park. Read all the details by clicking this link. 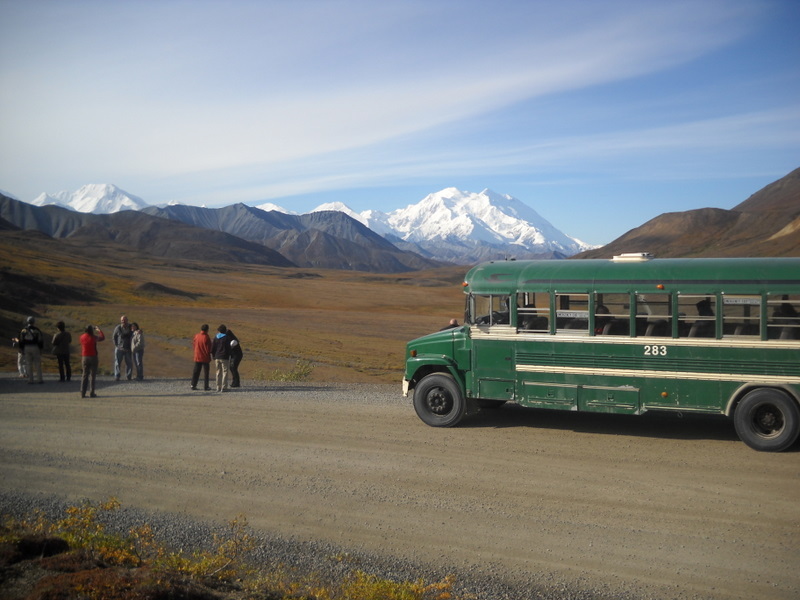 When the Final Denali Vehicle Management Plan was released on June 29, 2012, three DCC board members read and analyzed it for changes reflecting ours and others’ concerns. We’d been told that there would be a daily vehicle limit in the plan, as a response to public concerns about operating the plan under no fixed limit. We appreciated this effort on the part of NPS. However, the limit provided in the plan, 160 vehicles per day, is so high as to be virtually un-testable in the near future and we felt that, because it had been so rarely actually experienced on the park road it was not sufficiently vetted using indicators, standards and the new traffic scheduling model. We told NPS that a daily limit is a positive step, but the limit should be more conservative and that the structuring of the limit was not adequately covered in the Final plan and should be submitted to further analysis and NEPA compliance. No language indicating how NPS will move to institute more equitable marketing for both tour and transit. Absence of analysis of infrastructural and roadside impacts of the plan. 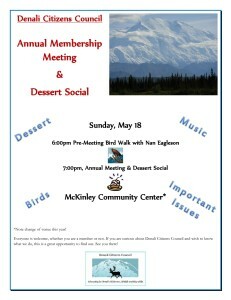 Or comment by email to Denali_Superintendent@nps.gov. Since this is a Final EIS, we are not certain how NPS will use our comments. However, there is nothing to prevent their accepting suggestions and including them in the Record of Decision, a document that finalizes the plan and can be posted 30 days after the Final EIS is released to the public. 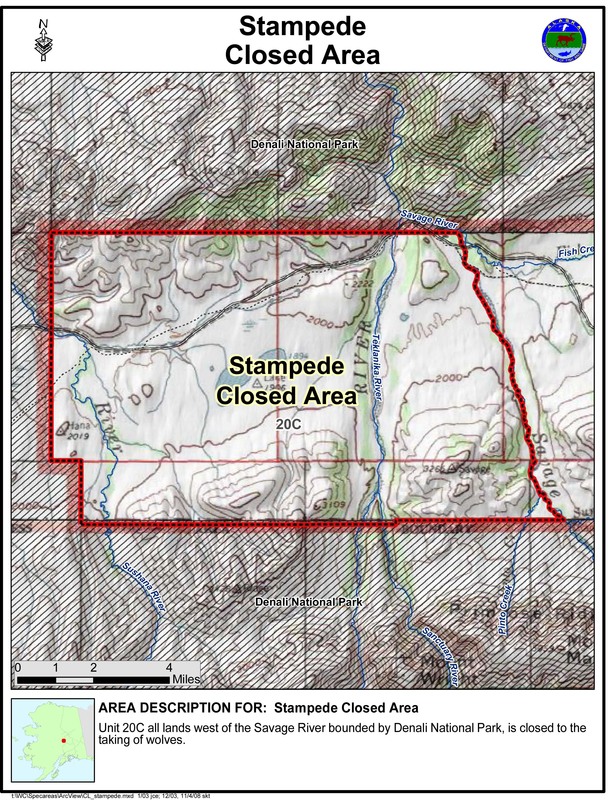 We at DCC think the environment is right for encouraging the Alaska Department of Fish and Game to restore the Stampede Closed area. 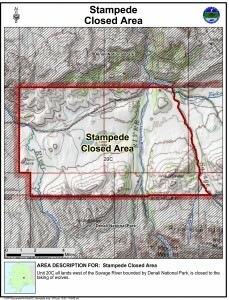 This area of state lands (click on map to see a larger version), surrounded on three sides by Denali National Park, was closed to the taking of wolves by hunting or trapping from 2002 until 2010, when it was allowed to open during a difficult and controversial Board of Game meeting. Given the high value habitat designation already applied to this area by the State of Alaska, its suitability even for inclusion in the National Park, and the relatively low wolf population in Denali National Park right now, there is good reason for the Alaska Department of Fish and Game to restore the closure. Please help us show strong public support in that direction by signing our petition. Use the link above.